How Does Our Microwave Technology Work? Termites are a nuisance. They call our homes their own. They devour walls, and leave behind waste. They cause billions of dollars worth of damage per year within the United States alone. In short, these pesky pests are just that: Pests. It’s essential to eradicate these pests as soon as possible to protect our property and prevent further damage to our homes. However, termite treatment can be expensive, especially fumigation treatments. Now, as your termite control specialists, we should note that fumigation may be necessary. Some termite infestations are too severe for other treatments. However, there is another alternative solution: Microwave termite treatments. With a microwave treatment, we specifically target the infestation at the source. That means that you won’t have to vacate your home for a fumigation (along with the rest of the family, the house cat, the dog, the plants, and any food that you’d like to save). Instead, you’ll simply need a thorough termite inspection and an accurate treatment. So, let’s talk microwave termite treatments. How do they work? And what benefits do they offer over other more traditional treatments? How Do Microwave Termite Treatments Work? Well, if you own a microwave, you may have a pretty good idea of how microwave termite control works. 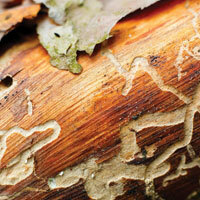 To be brief, microwave treatments superheat termites, exterminating them. Microwave treatments can be applied to the colony as a whole, but it is crucial that the queen and eggs are exterminated in the process. Microwave termites eradicate worker termites, queens, and eggs alike, effectively wiping out a populous. Why Are Microwave Termite Treatments a Good Option? Microwave treatments can be performed between walls, which is a major convenience for the residents of the home. First of all, the residents won’t have to completely vacate the home for the duration. In addition, since microwave treatments can be applied through the surface of a wall, repairs likely won’t be necessary. We’ll simply “zap” infested areas with a few sweeps of our high-tech microwave device, and voila, your home is termite free. Unlike fumigation, you won’t have to tent your house and move into a hotel for a few days. Instead, you can pay less for a localized microwave termite procedure, and you can go about your day to day as you normally would. That’s great news for both homeowners and their treasured abodes. 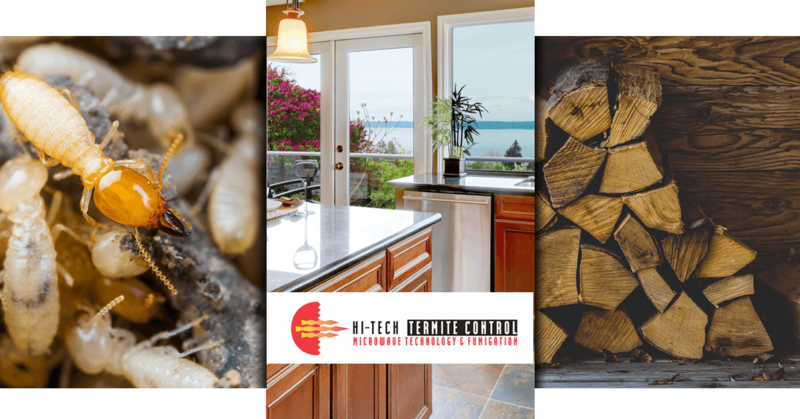 Here at Hi-Tech Termite Control, we offer a variety of treatments, each designed for your unique situation. When you schedule an appointment, we’ll stop by to inspect your property, assess the damage and source of your termite problem, and then we’ll offer up the best solution to your unique situation. With most moderate and minor termite infestations, our termite treatments are both the least invasive and most affordable option. Curious about our tremite treatments or ready to get started? Get in touch with us to schedule an inspection or treatment. Once again, we provide termite control solutions for folks throughout Orange County, Los Angeles, and San Diego.